The volcanic crater lakes of Nicaragua were once again the subject of a news article in El Nuevo Diario this week. Anyone who has visited the volcanic crater lakes of Nicaragua would agree that they are quite unique. As a group, they are isolated lakes, without any open water channel connecting any of them to any other water body. Their connection through the water table, with slow filtering of water through the sediments and rocks which eliminates the passage of animals and even microorganisms to and from each lake. GAIA has been active in studying and protecting the fauna and flora of Laguna de Apoyo Nature Reserve. It is precisely this isolation that makes the volcanic crater lakes of particular importance to the study of biodiversity and evolution, and consequently, gives them priority as objects of protection for the conservation of the unique fauna in each lake. The majority of the volcanic crater lakes in Nicaragua have been studied to determine what fish species are found in them. The principal study which documented these lakes was conducted by our group in eight of the volcanic crater lakes, resulting in twenty new distributional records for fish in the country. Prior work had been performed by Jaime Villa, Padre Ignacio Astorqui, and George Barlow, all of whom had conducted some amount of fish studies in one or more volcanic crater lakes. Each of these eight lakes that have been studied contain unique fauna. 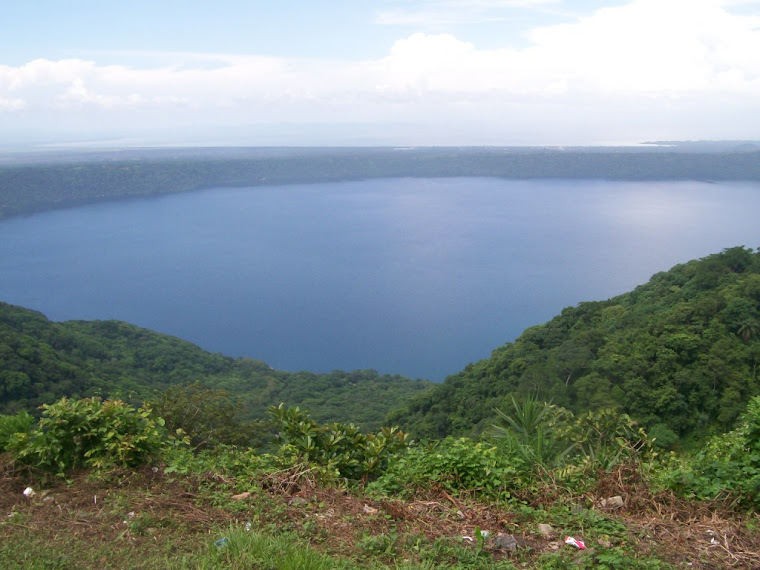 Laguna de Apoyo, for instance, is the only wild habitat in the world for six species of fish; Laguna de Xiloa, for another five species. The other, less well-studied lakes on this list, definitely contain unique fish species, as well. A former employee of our group has more recently sounded the call to name the volcanic crater lakes, collectively, a World Heritage Site, through UNESCO. This idea is not new; in fact, it has been floated repeatedly for the past twenty or so years. While some people host press conferences to hijack ideas for their personal aggrandizement, we are busy doing the things that protect the natural areas of Nicaragua and the biodiversity at risk found in them. For years, GAIA has been on the front lines of defense of the lakes from senseless destruction of the natural resource base in these fragile ecosystems. Although many of the actions go unnoticed by the public, a few have had a larger profile. For instance, GAIA director Jeffrey McCrary served as the coordinator for the development and approval of the official management plan for the Laguna de Apoyo Nature Reserve. The majority of the entries in this blog deal with the activities of GAIA inside that protected area, although several entries deal with other volcanic crater lakes, as well. In summary, we have been there, advocating for the protection of each of these jewels, with real actions resulting in new knowledge and better policy and protection. In places like Nicaragua, it is easy to find people who want to be in the spotlight, especially foreigners who jet around from country to country, who talk about peace, or saving children from poverty, or the environment. Sometimes, such as in this example, there is not much behind their grandstanding. The real struggle is not about press conferences with grand proposals, but rather, in the trenches, building schools for poor people, spending countless hours dedicated to community involvement in the decision-making processes for natural resource use and protection, and sleepless nights in the thankless job of making a few hours in the forest or under the water turn into peer-reviewed, accepted research publications that provide meaningful justification to protect special places such as the volcanic crater lakes of Nicaragua. 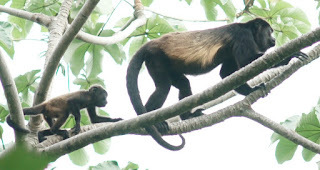 GAIA is present and active in Laguna de Apoyo Nature Reserve. It was not lost on us that someone would discuss the volcanic crater lakes of Nicaragua in the press as if there were no current and historic initiatives to protect them, and even less surprising that it would come from a foreigner who feels the need to plant himself as protagonist in an effort that needs him to accomplish something that no one in Nicaragua could accomplish without his grandeur. It is absurd to think that someone would propose research stations in these natural areas, as if no research had ever been conducted and published already. We have come accustomed to this type of attitude, and we continue to do what we do, as small as it may seem at times. Our organization, unlike other supposed organizations, is real, solvent, and active. We are in constant communication with the communities where we have alliances and with the relevant institutions of government to assure that what we do is appropriate on all levels. We invite you to visit us at Estacion Biologica Laguna de Apoyo or write us and get to know us. We seek alliances of all kinds, to work hand in hand wherever possible, to keep nature wild and free in Nicaragua. Please contact us! What planet are we leaving for them? Nicaragua is self-described for decades as the country "where lead floats and cork sinks". The country has steadfastly defied the conventional wisdom generated, promoted and supported by the rest of the world. Whether on the national, political level, or in the barrio, Nicaraguan thought has tended to take turns that did not always come from the playbook provided. Recent world events have once again brought the country into the forefront of the news. Nicaragua shares the dubious honor of accompanying two other nations that are not united in the recent Paris accords regarding climate change. The accords were uncharacteristically broad and bland that virtually every nation signed on, even the stubborn government of North Korea. Syria, distracted by a bloodbath within its borders, did not sign, nor did it protest. The nation which aspires and daily claims to be the greatest nation on the planet, the United States of America, signed, but its new leader, Donald Trump, declared the agreement to be inequitable toward the USA. His opposition to the agreement and intention to depart from it was declared recently. It has been said that politics makes strange bedfellows. With the dismaying declarations of the President of the United States, Nicaragua is strangely united into a unique club of those outside the Paris accord, this space with a failed nation and a tragically misguided empire. All this is important to note, because of the gravity of climate change on human life and wild nature globally. Paleontologists have declared the current times a new geological epoch, in which the human influence on the climate becomes indelible. The effect of modern society, in these terms, on temperatures, atmospheric composition, and weather processes, has become paramount. Among the few decision-makers who dare to question that humans are provoking long-term impacts on the climate which threaten even the survivability of our own species on this planet, are only those who are in position to benefit directly from its negation, such as the new head of the Environmental Protection Agency. An anthropological analysis of the government of the USA and the sides of the debate regarding climate change belies the self-interest of individuals who gain from pretending that the obvious is happening. In contrast, the government of Nicaragua has taken a posture which can be criticized and discussed, but its relevance to history is indisputable. Climate change is real, it affects the quality of life of humans, and the distribution of impacts among humans is unequal. Poor people, worldwide, bear the brunt of the negative effects of climate change. Unlike the USA, the government of Nicaragua has not sought to negate the relation between human activities and the environment, but rather to accentuate that poor nations are victims of a kind of climate-imperialism imposed by the richer nations, especially those set in the temperate zones of the northern hemisphere. As Gaia director Jeffrey McCrary, states in a recent essay published in El Nuevo Diario, the posture of Nicaragua regarding the accords sets the country far apart from that of the USA. The government of Nicaragua has made deep commitments toward the environment, particularly regarding greenhouse gas emissions, whereas the government of the USA is backpedaling. We need urgently to establish what climate change will mean to Nicaragua, in terms of shorelines, ecosystems, habitats for fauna in both the land and in the waters of the country, the impacts on populations regarding agriculture, vulnerability to storms and drought, livability regarding temperatures.... so many things! Monkey die-offs, water wells going dry, lake levels dropping, crop failures, floods, hurricanes that flatten areas. The rapid advance of the agricultural frontier. Median temperature rise. What more evidence do we need? Click on the 'escudo' to contact us at GAIA.